The PTC122 series VHF 'Walkie-Phones' were designed in the early 1950s to provide low-power, light weight, short range portable communication. The equipment was a 6 valve crystal controlled AM transmitter and receiver, and was generally carried on the chest of the operator. A built-in top mounted microphone was used, together with external headphones and a flexible tape antenna. Single channel, 3 channel and 6 channel versions were produced, and the equipment was available in two basic variants, one with internal batteries, the other with an external battery-pack. See equipment inside top view, inside left view and right view and also the underside view. 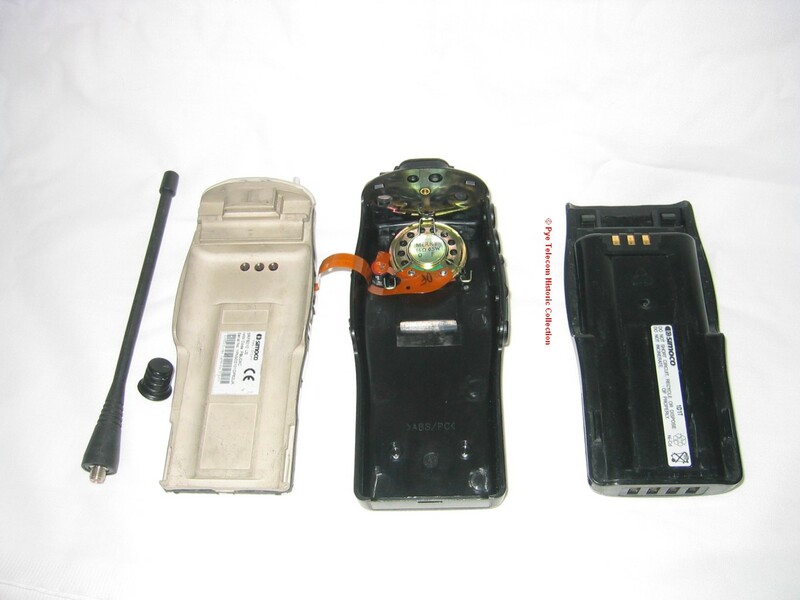 The equipment pictured above left is the internal battery version. Quantity 8 of the external battery-pack version were used by the British Expedition during the conquest of Mount Everest in 1953. In this application, specially designed batteries were carried in a canvas vest close to the body in order to keep the batteries warm. See photo at right of the equipment in use with the London Police in 1953 during the re-surfacing of Tower Bridge. 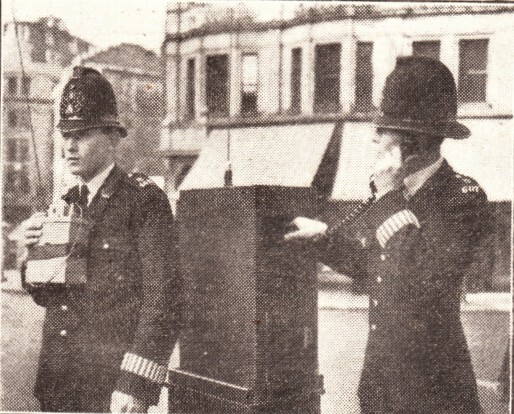 The earliest dated reference found to the use of the Walkiephone is in the August 1951 Daily Mail Cross Channel Swim, reported in Practical Wireless, Volume 27 No. 540, October 1951, page 453. 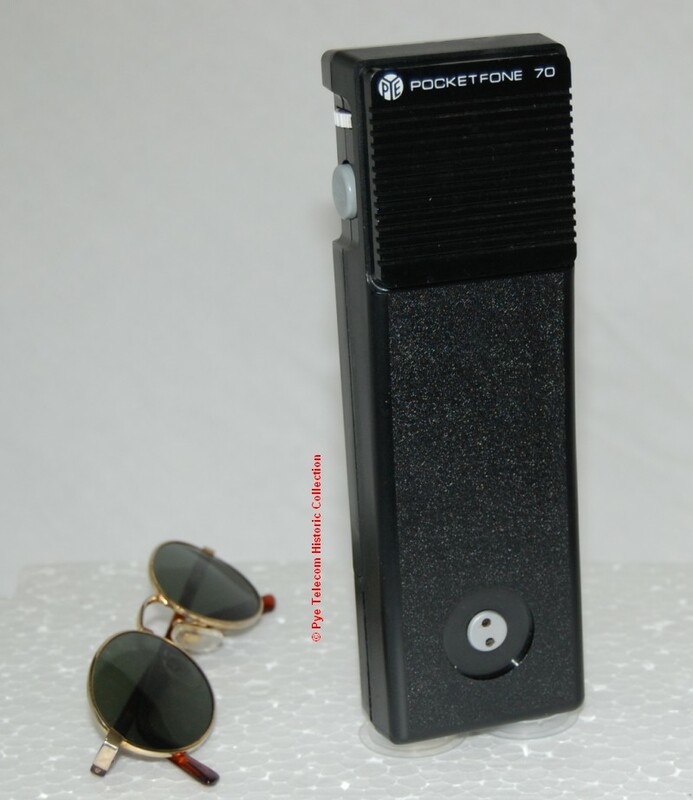 The Pye-Electronic Pty Australia TRP-X1 HF Walkie-Phone was a portable equipment which had a 3 channel crystal controlled transmitter and a continuously variable tuned receiver. It covered 1.6 - 4MHz and 4 - 9MHz in two ranges. The design used 10 miniature wire-ended valves, each about the thickness of a pencil, all mounted in plug-in sockets. See inside view. The equipment was self-contained for microphone, loudspeaker and batteries, and could have an external telephone handset connected via a front panel socket. The RF output was 1-5 Watts according to frequency. In use, the equipment was normally mounted on the operators chest, suspended from a strap around the neck. A body strap could also be used to restrain the equipment. 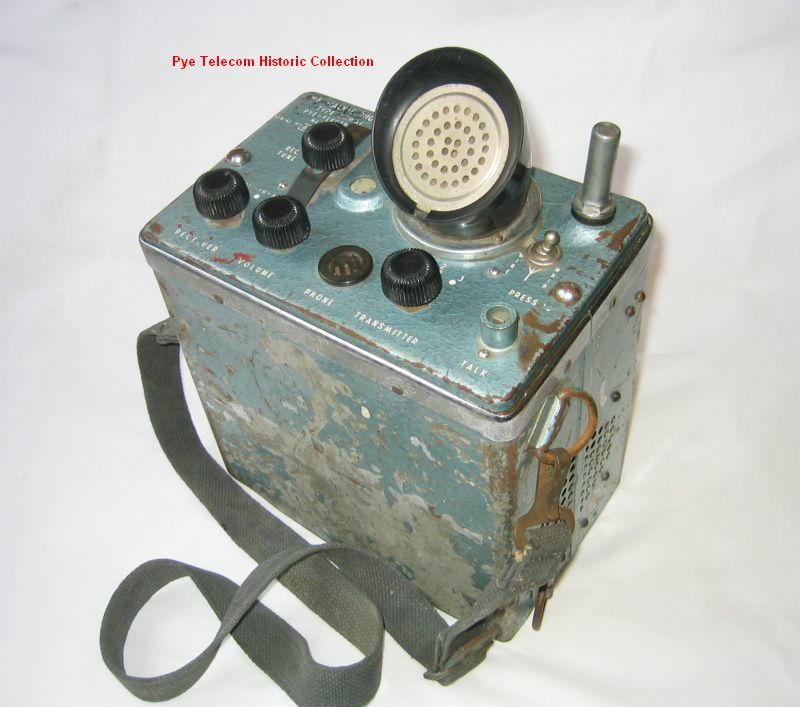 The TRP-X1 equipment was very similar in appearance and construction to the UK designed PTC122 series VHF Walkie-Phones of the 1950s, which were generally described as being the first Pye Telecom portable two-way radios. 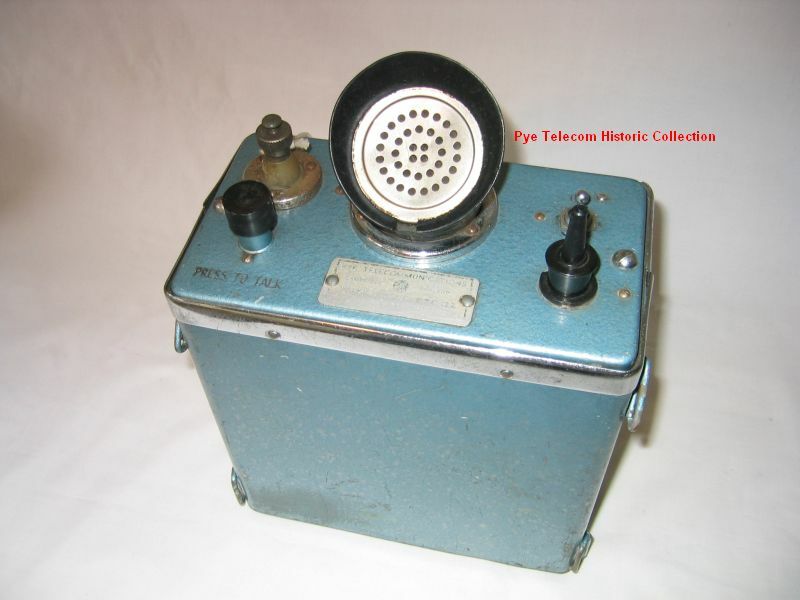 The Pye-Electronic Pty Australia designed HF Walkie-Phones were themselves partly derived from earlier Australian wartime and late 1940s products, some of which confusingly also had the type designation TRP. 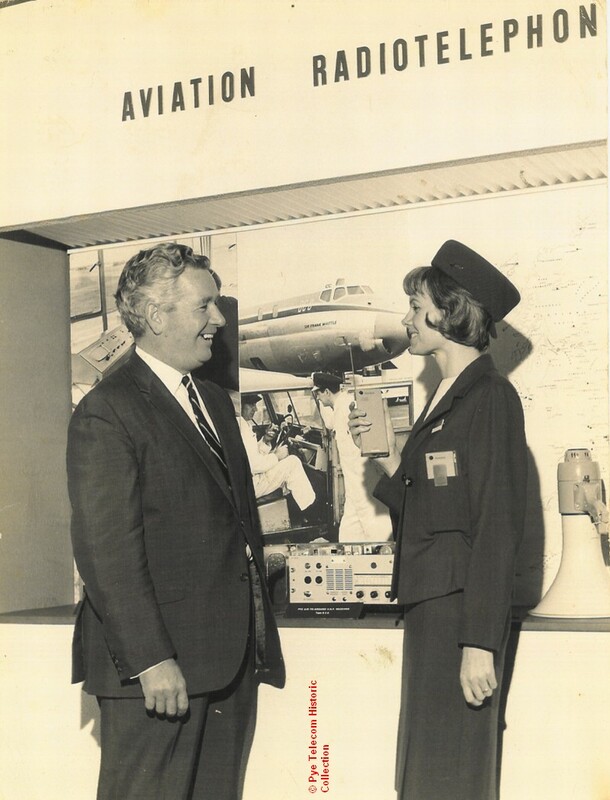 The origins of the Australian HF Walkie-Phone product family is believed to be the RC-16 equipment (also known by the RAAF as the ATR4-B) first produced by Electronic Industries Limited (EIL) of Australia in 1939. 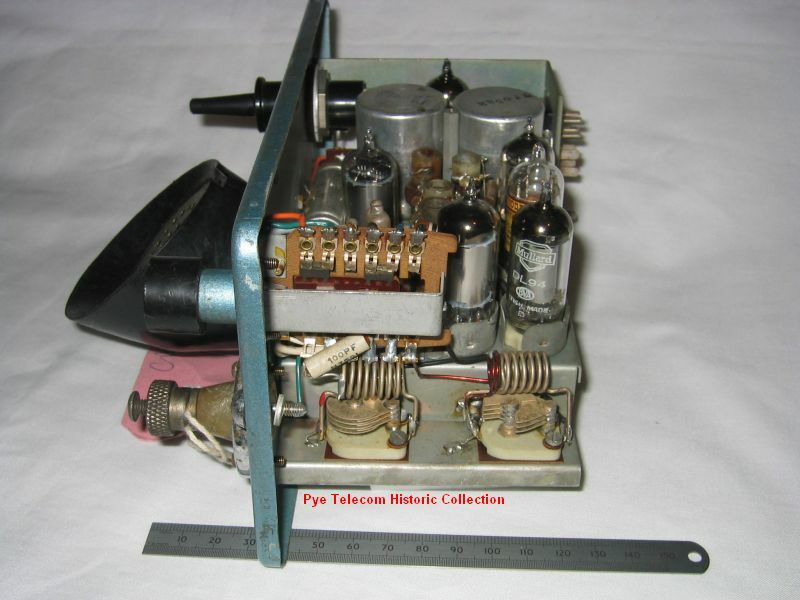 During the War, EIL and Pye Ltd had co-operated over equipment designs and EIL had manufactured the Pye Wireless Sets No. 19 and No. 22. 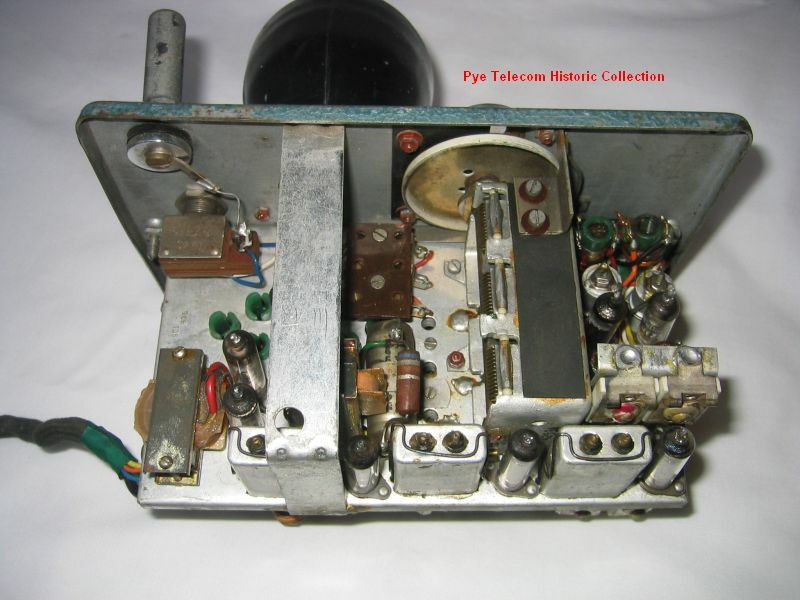 After the war the two companies formed a new company called Pye-Electronic Pty. Ltd. The original RC-16 equipment was redesigned in the late 1940s and marketed as the TRP-1 equipment, although it should be stressed that this early post-war TRP-1 and the later TRP-X1 are physically very different. A matching HF mobile was also produced, the TRM-6, which gave 5-7 watts RF output. 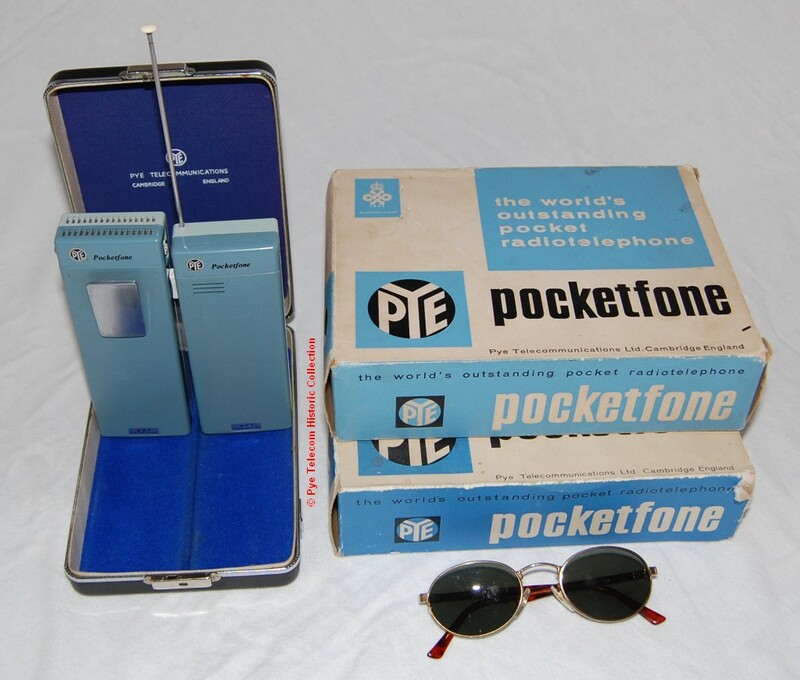 The PF1 Pocketfone was a ground-breaking, low-power, two-unit UHF hand-held portable featuring the transmitter and receiver in separate cases. 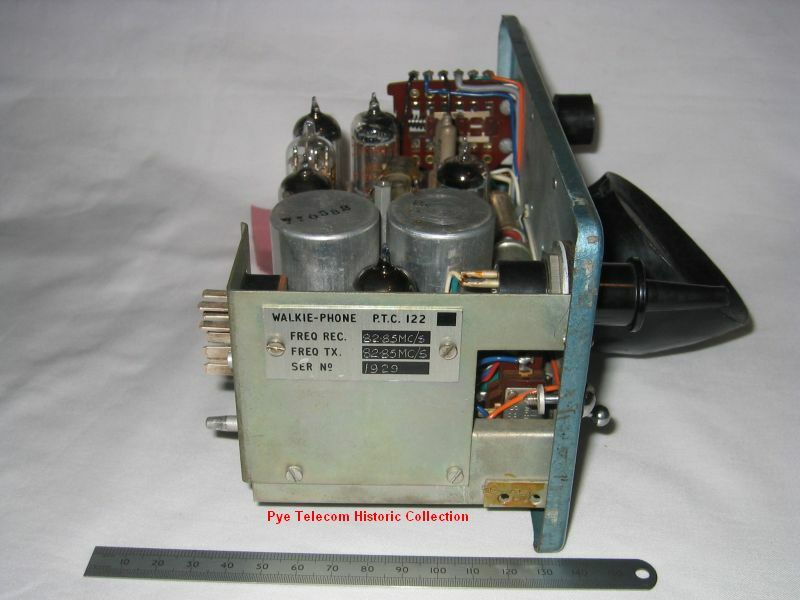 The design of the PF1 was driven by the Pye Telecom Managing Director John Brinkley, who had formerly worked at the British Home Office. This novel equipment pioneered the application of UHF frequencies for use by hand-held radio schemes in built-up areas and was quickly adopted by the Home Office for wide scale urban and suburban use by the British Police. This first order for the PF1 was for 10,000 pairs of units. Due to the high penetration of UHF frequencies in built-up areas the Pye PF1 quickly found applications such as the London Stock Exchange and London Airport. DC power was provided by single PP3 sized or double PP3 sized rechargeable cells, and several types of single-unit and multi-unit battery chargers were manufactured. Early PF1 receivers used a small postage stamp sized transducer as loudspeaker which gave limited audio performance. 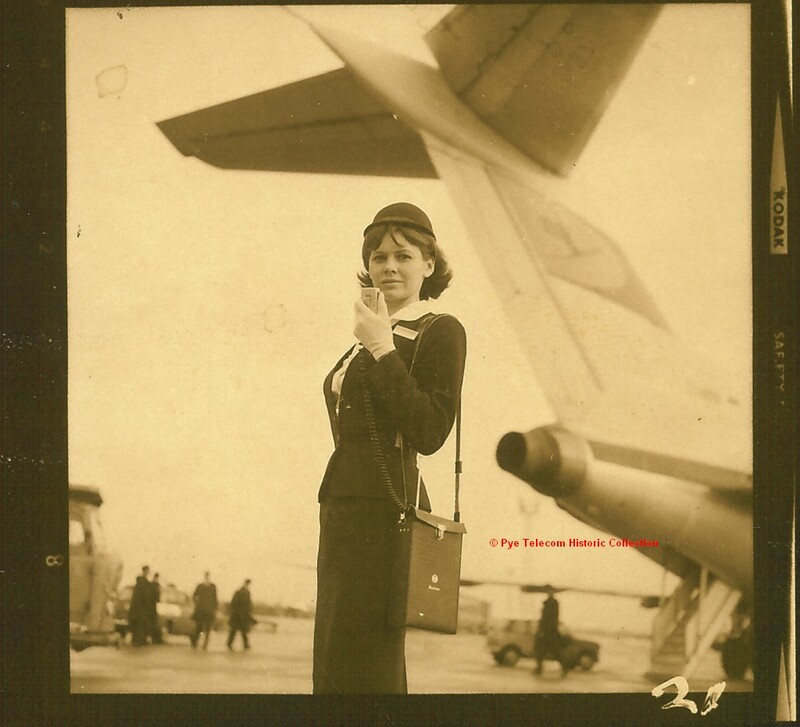 Later models used a real moving-coil loudspeaker hence the larger case top profile. This later version was available with simple selective calling facilities to enable the control station to call individual receivers or groups of receivers. 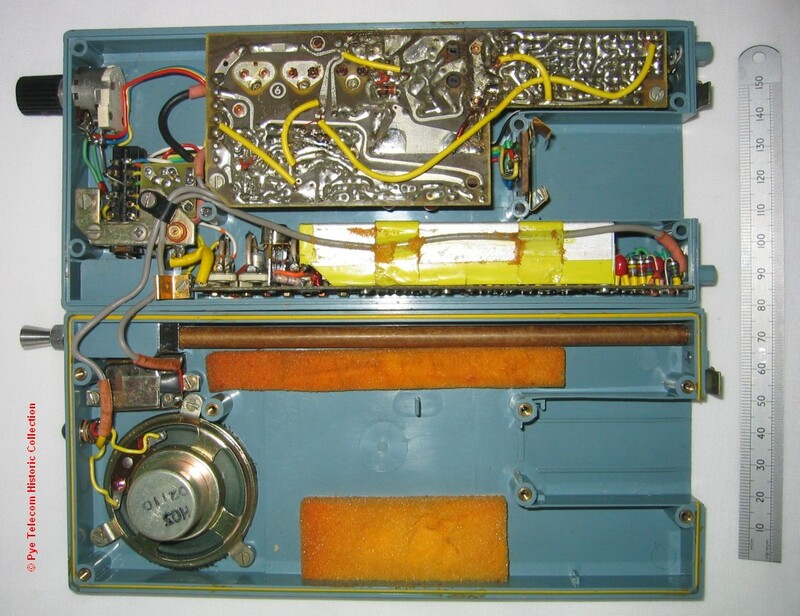 A single unit UHF hand-held portable containing the PF1T transmitter and PF1R receiver printed circuit boards mounted in one case, which can be clearly seen in this inside view. 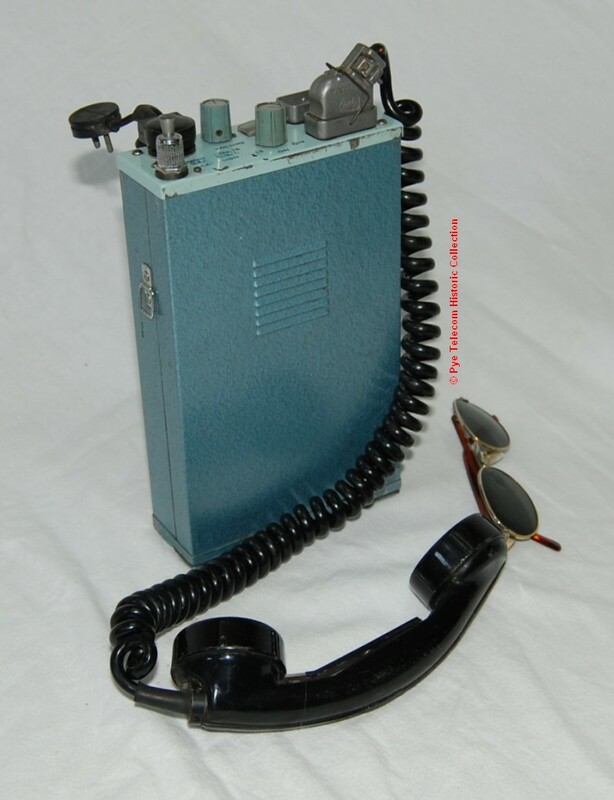 Although larger than the PF1 units, the PF1C Compact gave users the advantage of a single unit hand-held radio transceiver. DC power was provided by a single unit PP3 sized rechargeable cell which could be charged in some of the same multi-unit battery chargers used by the PF1 equipments. 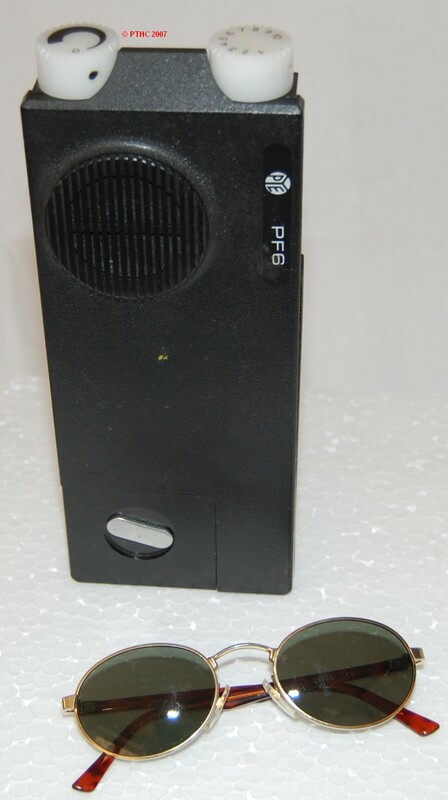 Like the later PF1 receivers, the PF1C Compact used a real moving coil loudspeaker. 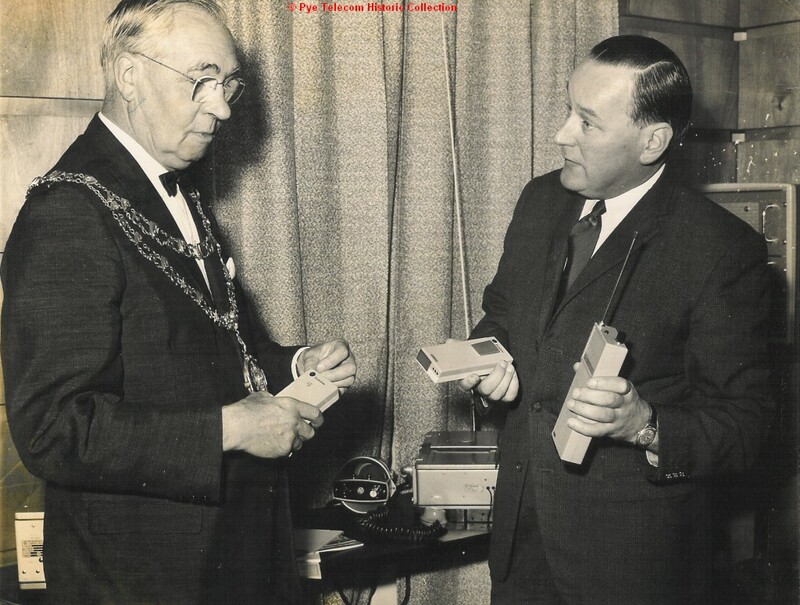 The photo at right shows Pye Telecom Salesman Denis Willis demonstrating the equipment to the Mayor of Hounslow. The Chief Executive was a UHF single channel transportable transmitter-receiver powered by AC mains or internal rechargeable batteries. It was effectively a mains-powered PF1 Compact built into a carrying case and could be used in either mains powered table-top mode or battery transportable mode. The design was originally conceived to provide local communication for the British Prime Minister Harold Wilson when he was at his holiday home in the Isles of Scilly. 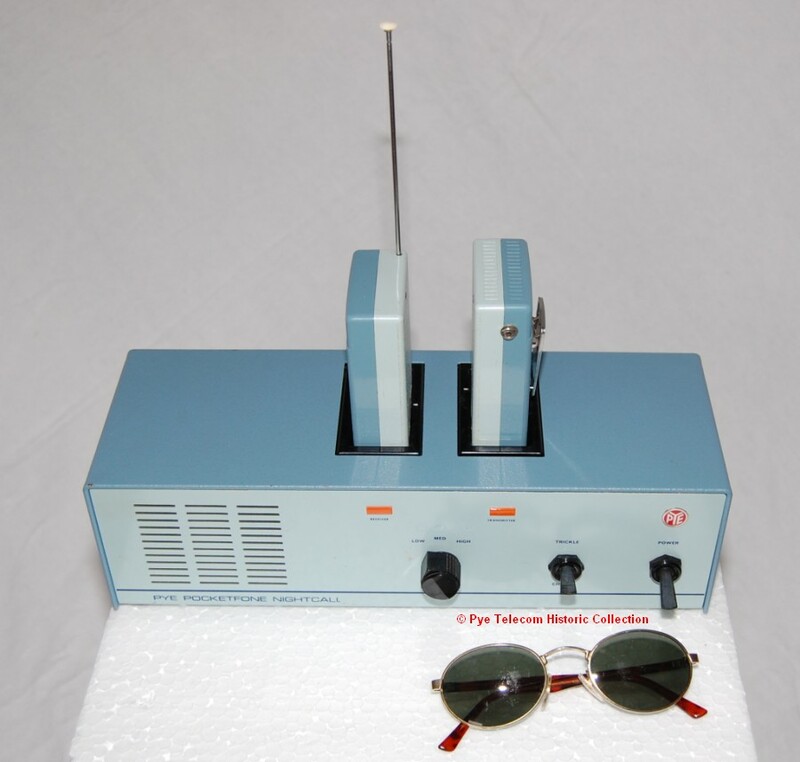 The example equipment shown in the photograph is serial number 007, and has crystals for the old UHF demonstration base station frequencies, known as 'UHF Dem' in the trade. The equipment featured a removable hand microphone/loudspeaker, a separate built-in loudspeaker and a two section telescopic antenna. Raising the antenna automatically turned on the equipment. A range of large size shoulder-carried, AM and FM, VHF solid state transportable units using a separate plug-in microphone and telescopic antenna. 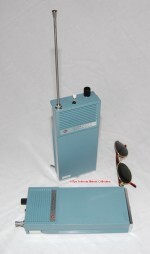 The Bantam series was the first Pye Telecom VHF portable since the Walkiephone of the early 1950s. A military version of the HP1FM initially designed for the British Army and constructed in a similar manner to the military Larkspur series equipment. 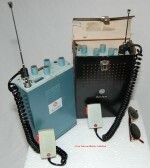 A version of the HP1FM Bantam designed for use by the British Post Office field staff. 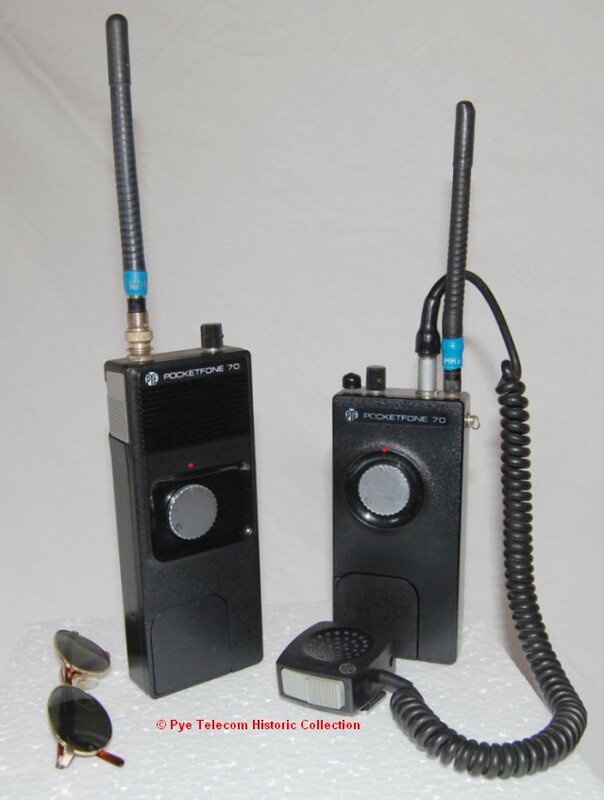 The Company's first complete product line of hand-held and body-worn, VHF and UHF portables. The family grew to include intrinsically safe models for use in hazardous atmospheres and a full range of battery chargers, vehicle adaptors and accessories. A variant of the PF2 with a higher power transmitter and improved receiver sensitivity and selectivity. Visually the product is identical to the PF2. 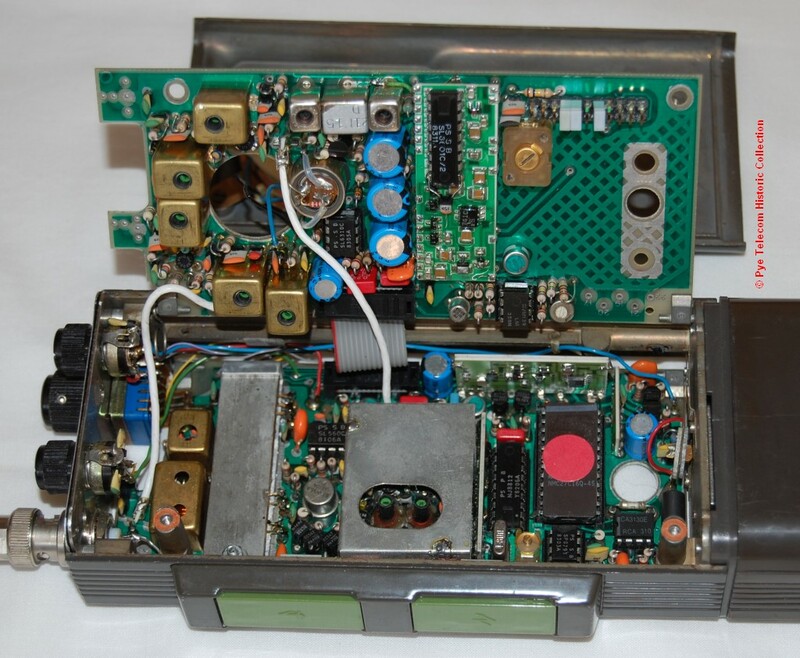 A single channel UHF-only version of the PF2, which was smaller than the PF2 and which used an internal printed circuit plate antenna. A single product portable radio which could be vehicle mounted and quickly de-mounted for hand-held use. This multi-channel UHF portable was designed to a British Home Office requirement for use by the Police and was used in conjunction with the BC18 vehicle adapter. 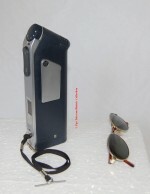 A single product multi-mode hand-held UHF portable with a novel styling which resembled a large electric razor. The product could be used in either left or right hand, as a conventional PMR hand-held, or as a telephone handset positioned against the face. The PF8 gained public awareness and a degree of cult popularity from being featured in the 1970s British television series The Professionals. 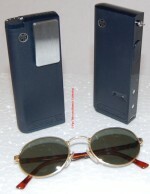 A two-unit hand-held UHF portable with separate transmitter and receiver designed for the British Home Office to replace the original PF1 portables. 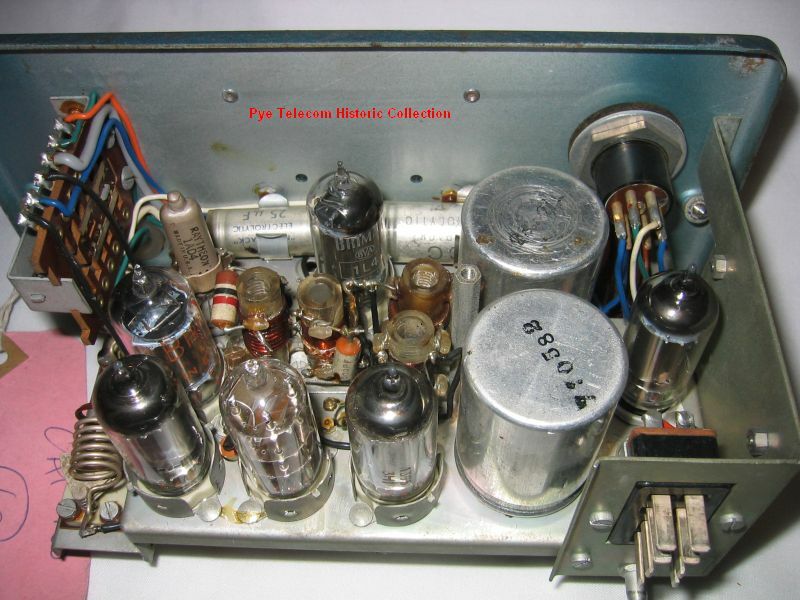 The Pye P5000 series was the next major range of portables to follow the PF70 series. It was described in the product literature as a universal equipment, in that it was suitable for both hand-held and body-worn operation, rather than being made in two separate model variants, with one type for each application. Instead, the P5000 used a multi-way facility connector which could be used to connect an external loudspeaker/microphone with external antenna or other peripherals. Internally the equipment used miniature plug-in modules which mounted onto a main motherboard. Each PCB module was mounted in a metal container for screening purposes. The choice of this form of construction was partly influenced by the success of equipments designed in the USA by Repco Inc. 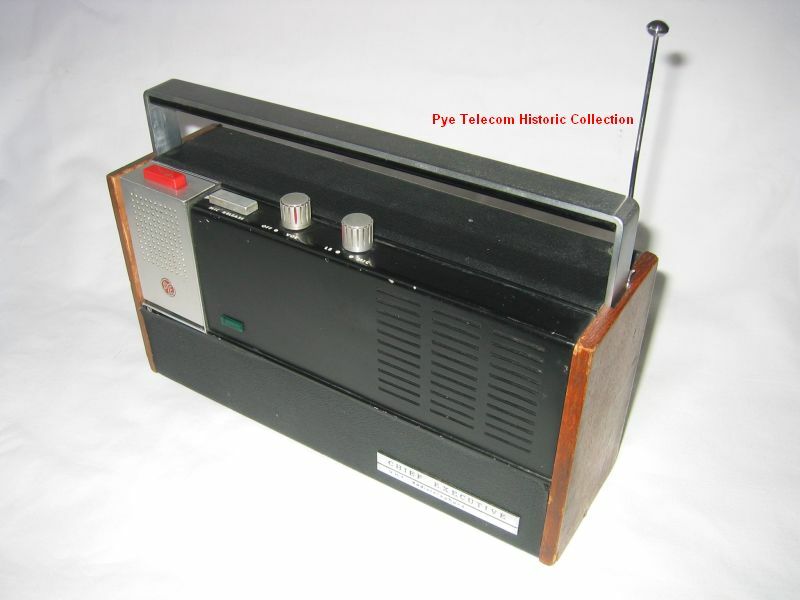 The Pye PFH5000 was a small series of VHF FM portables, with single channel and 4 channel versions, available in hand-held and body-worn configurations. It used the P5000 series plug-in modules and was the result of a cost reduction exercise carried out on the P5002 for Pye Telecom by outside consultants. 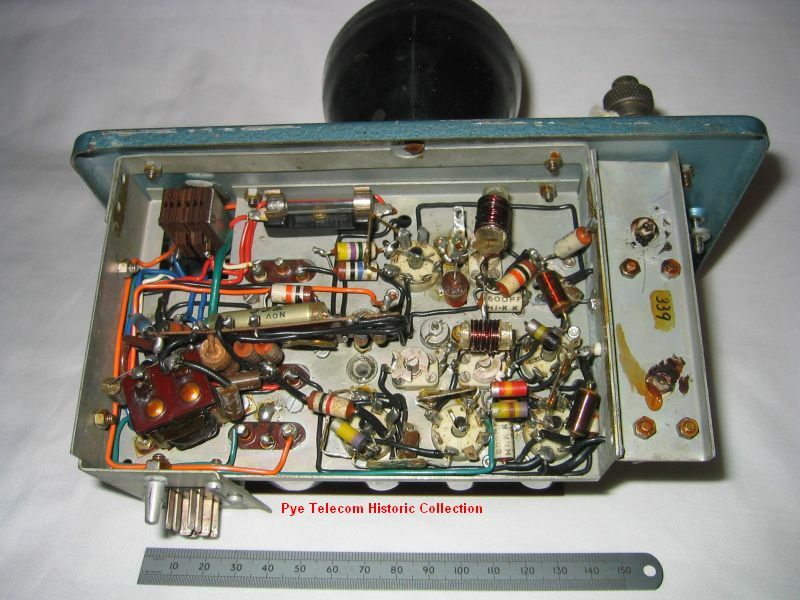 The original P5000 transceiver series was fairly large and heavy and became costly to produce. The PFH5000 is slightly smaller, lighter, cheaper and does not feature the same external facility connector. It also uses a different battery and battery latch mechanism. 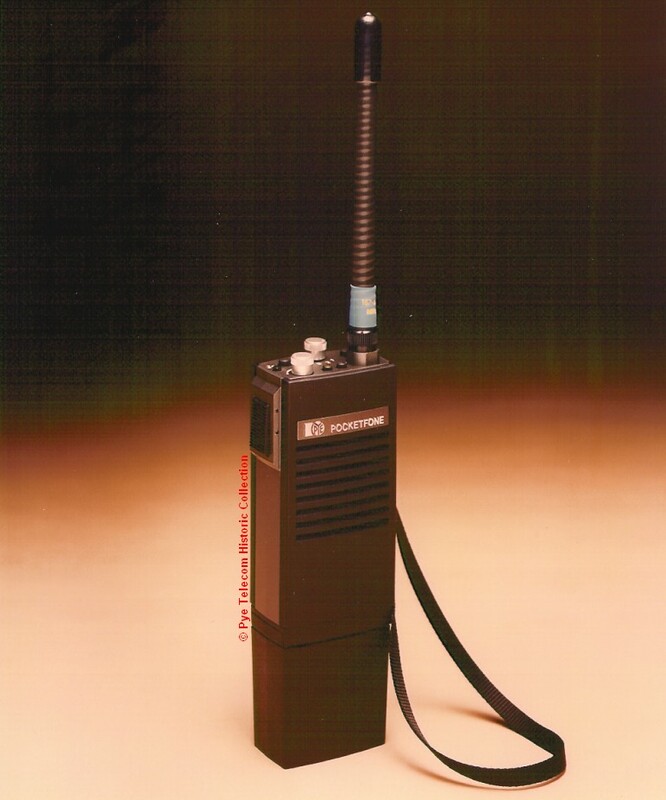 The PF85 was a three channel VHF and UHF FM hand-held portable with an external facility connector, using similar case, battery and mechanics to the PFX. 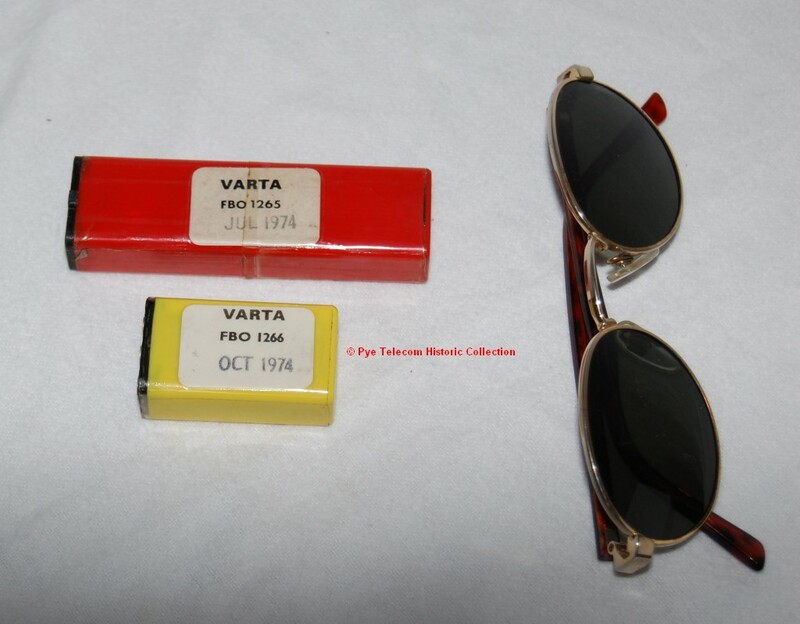 It was the first product of the PF85/PFX family to be introduced and remained in production until 1989. The standard equipment was a hand-held model and the inclusion of a multi-way facility connector enabled external microphones etc. to be used for body-worn applications and when mounted in a vehicle adaptor. A wide range of accessories and carrying aids were available, see the PF85/PFX accessories product leaflet below. 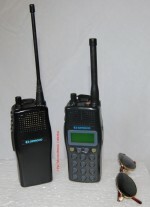 Two case sizes were available for the PFX; a standard frame model to house the basic radio unit and those with CTCSS, and an extended frame model for those equipments fitted with larger selective calling modules. 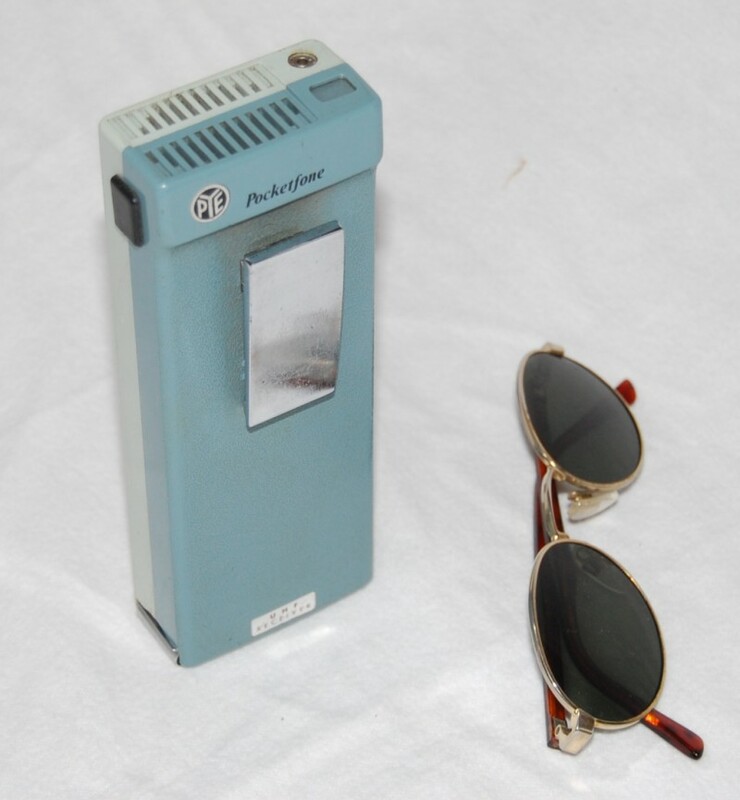 This product was in volume production when the change over from the Pye Telecom brand name to the Philips name occurred and equipment examples can be found with either the Pye or Philips brand label. 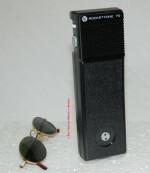 The first synthesised PMR portable radio designed by the Cambridge design laboratories. 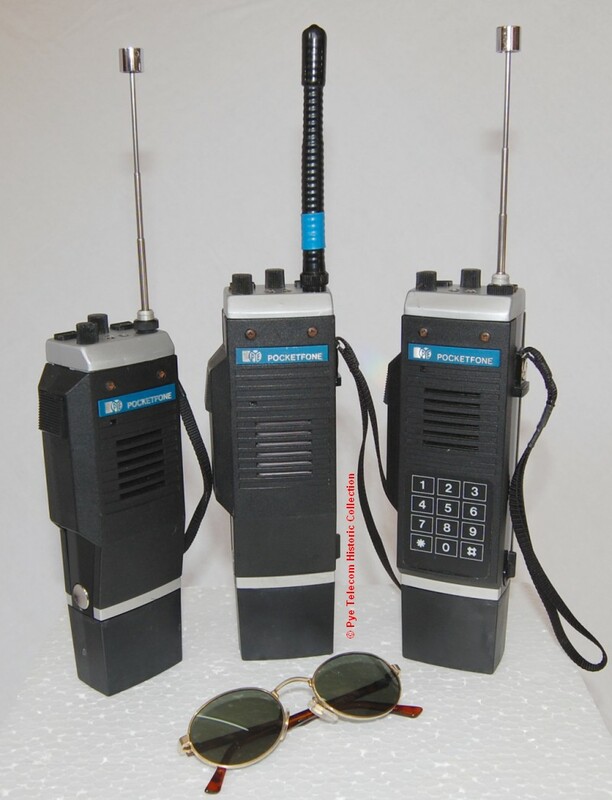 The PFX was a major family of VHF or UHF FM hand-held equipment using similar case, battery and mechanics to the PF85 and offering communication on up to 99 channel frequencies. 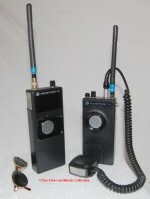 The standard equipment was a hand-held model and the inclusion of a multi-way facility connector enabled external microphones etc. to be used for body-worn applications, as with the PF85. A wide range of accessories and carrying aids were available, see the PF85/PFX accessories product leaflet. 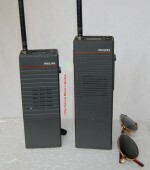 Three case sizes were available for the PFX; a standard frame model to house the basic radio unit and those fitted only with CTCSS, an extended frame model for those equipments fitted with larger selective calling modules and a long extended frame model for applications such as the PFX-PM which featured military-grade digital encryption. The equipment remained in production until 1992 and today (2007) many are still in service. From about 2003 onwards the equipment began to be phased out of service with British Police and military as users moved to Tetra digital equipment. The Cambridgeshire Police changed to Tetra in June 2005. The illustration above shows the standard frame and extended frame models. 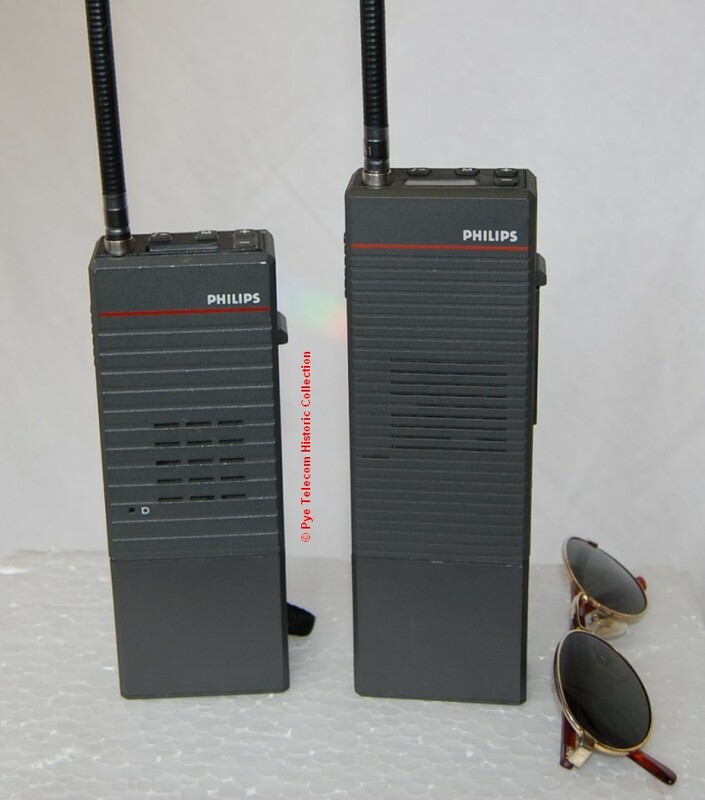 The PFX was in production when the change over from the Pye Telecom brand name to the Philips name occurred and equipments can be found with either Pye or Philips brand label. All portable products introduced after the PFX were branded Philips until the company name changed to Simoco on 1st July 1996. The next physical change-over of product labeling took place from July 1996 to July 1997 and during that time products were manufactured bearing both the Philips brand and Simoco brand names. A Philiips branded single product VHF and UHF hand-held portable designed and manufactured by Marantz in Japan and sold by Philips National Sales Organisations (NSO) to countries which based their type approval specifications for radio equipment on the USA EIA RS316A standard rather than the European CEPT specifications. 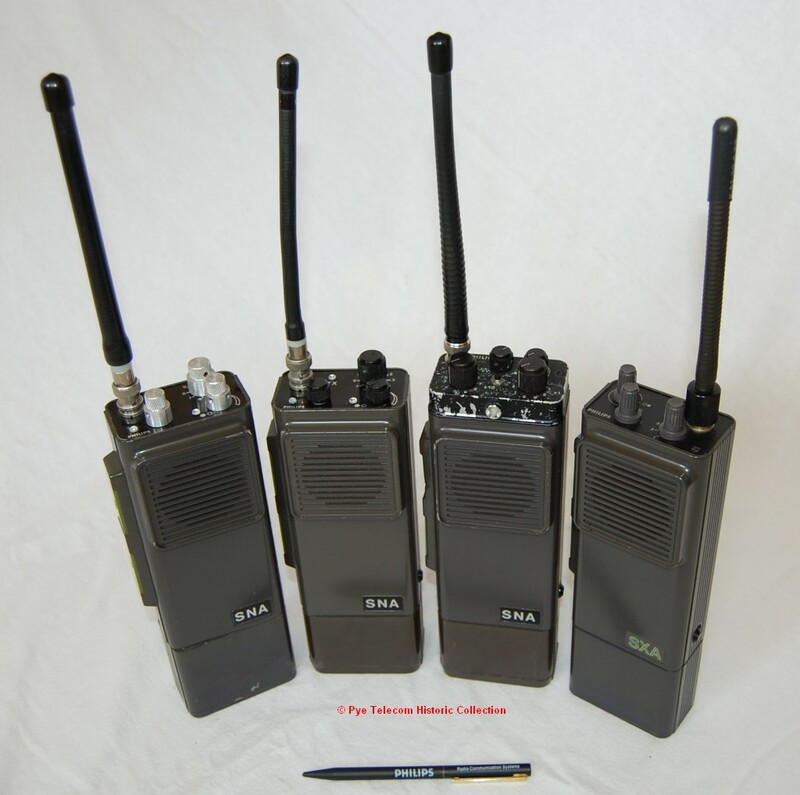 A family of fairly large hand-held VHF and UHF FM portables originally designed by Philips in Hilversum, The Netherlands and based on the circuit design of the Philips LTS (Lotus) mobile radiotelephone. The original design was crystal controlled (SXA) and later a synthesised version (SNA) was designed by the Philips group at at Wadeville, South Africa. Various versions were manufactured in Holland, Spain, South Africa and India. 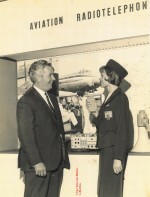 A number of different configurations of the product were produced. See photograph of portables with a two-unit charger. Although the equipment series used many conventional discrete components, it also employed surface-mount components, thick film hybrids, RF power modules and various integrated circuits. The synthesiser circuit in the SNA used a similar hybrid configuration to the Pye MX294 mobile, which had a custom arrangement of the Philips-Mullard synthesiser integrated circuits and the Plessey synthesiser integrated circuits. 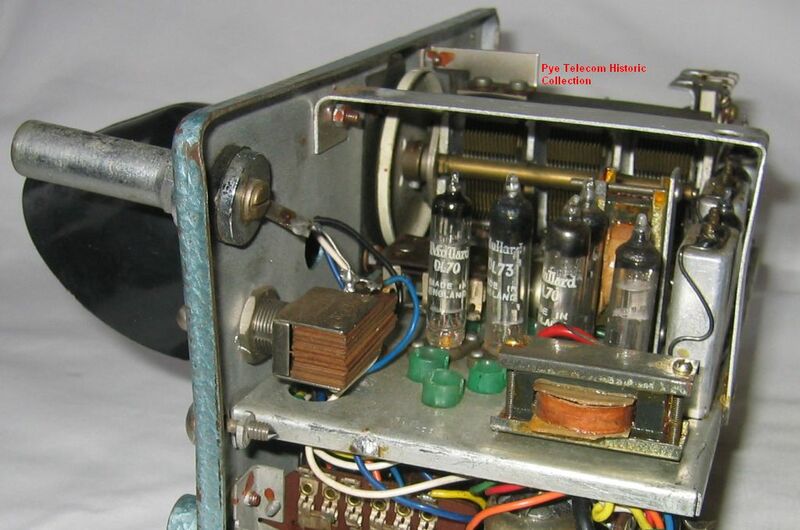 See inside view of a Philips SNA synthesised model. 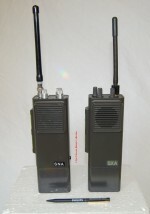 A pair of VHF and UHF FM synthesised hand-held portables designed and manufactured by EF Johnson of Minneapolis, USA and sold by Philips National Sales Organisations (NSO) to countries which based their type approval specifications for radio equipment on the USA EIA and MIL standards rather than the European CEPT specifications. A synthesised multi-channel hand-held only portable, originally intended at the specification and planning stage to be the replacement for the PFX. 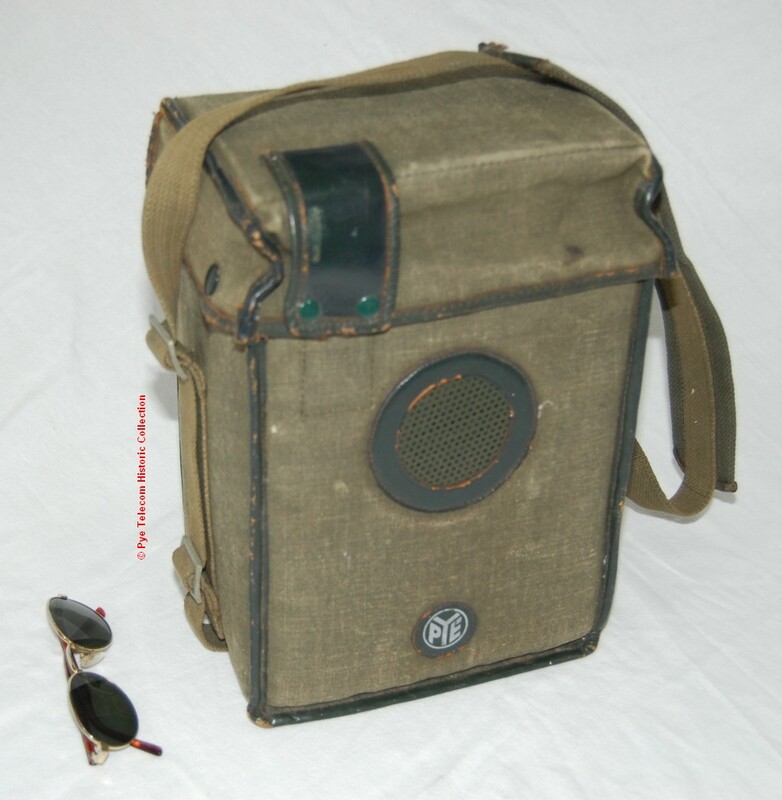 The product design evolved to use a large rugged case and was marketed for tough commercial applications, rather than Police use. A joint venture between EF Johnson of Minneapolis, USA to develop a hand portable for use on MPT1327/MPT1343 private trunking networks. A large family of broadband synthesised VHF and UHF FM portables originally intended to be a replacement for the mid-market PFX. The elegant technology, performance and cost of the final product rendered it more suitable for upper market non-trunked applications than the mid market, although it was sold to the UK Police resulting in reduced profit margins. A mid market VHF and UHF FM hand portable for use on MPT1327/MPT1343 private trunking networks, sourced from Rohill BV of Hoogeveen, The Netherlands. 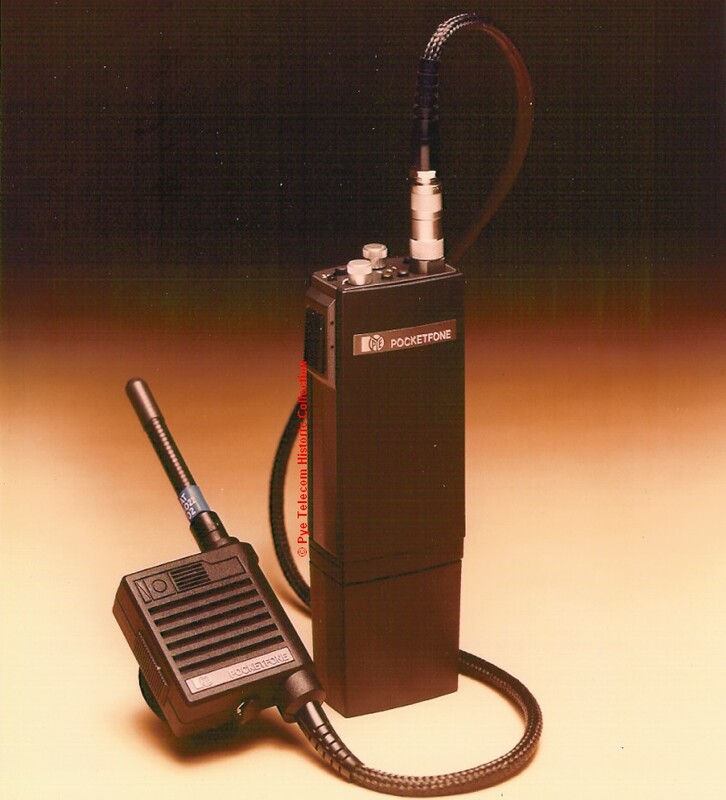 The P1000 consisted of a cosmetically restyled variant of an existing transceiver unit from manufacturers Belcom, Japan, fitted with a Rohill trunking controller PCB and software. The final product was supplied as a complete package to Philips by Rohill. A hand-held portable for use on MPT1327/MPT1343 public trunking networks purchased on an OEM basis as a complete package from the manufacturers OTE of Florence, Italy. 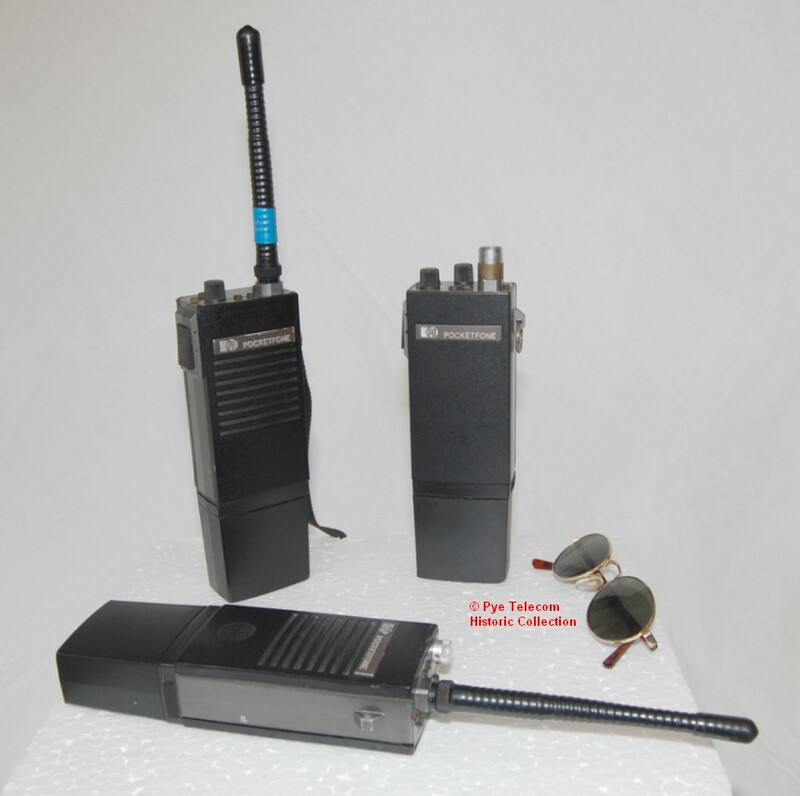 A small family of conventional analogue VHF and UHF hand held portables purchased on an OEM basis from the manufacturers in Korea. A small single product hand-held portable for use on MPT1327/MPT1343 private trunking networks in Australia and South East Asia where the RF unit was sourced from the manufacturers Shinwa of Japan. The trunked signalling hardware and software was designed by the Philips team in Clayton Australia. 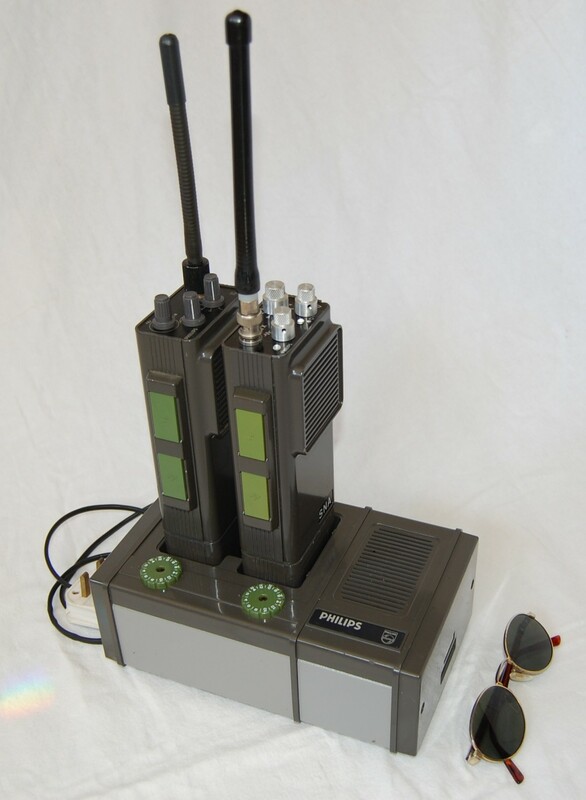 The Simoco SRP8000 was a modern family of VHF and UHF FM broadband synthesised portables. 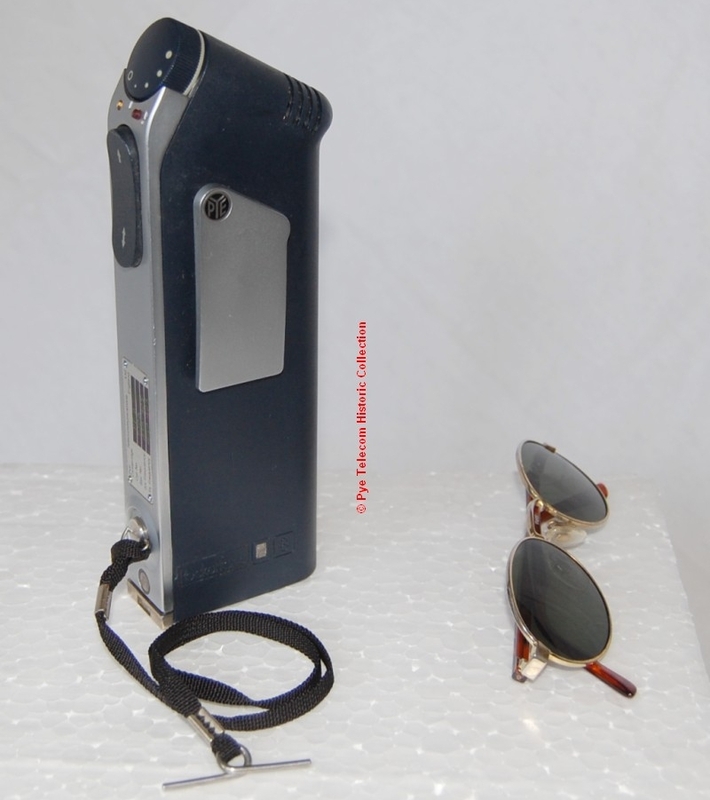 Designed as part of a development programme called MAP (Mobile and Portable) the equipment series was intended to be a serious competitor to the Motorola GP300 product, which had come to dominate the PMR portable market mid-tier sector. The equipment construction used a die-cast chassis with a plastic front cover moulding and rear mounted battery pack. For internal views see inside of chassis, front cover and battery pack and also outside front cover, battery pack and internal radio unit. The SRP8000 was also the last analogue PMR portable series designed before the Company (by then trading as Simoco) was broken up. 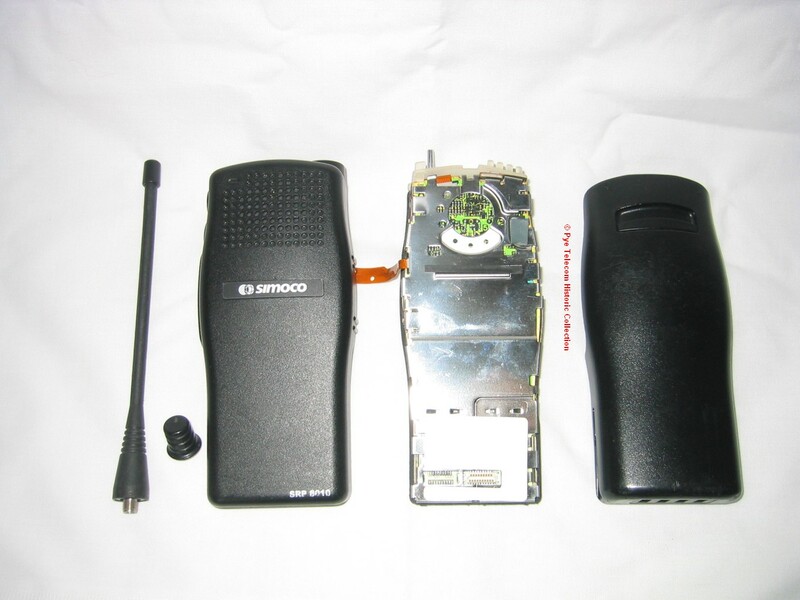 Launched in March 1999 the Simoco SRP01 was a fully Tetra compatible 1 Watt RF output handportable intended for Public Safety applications. It provided simplex or duplex speech, trunked or direct-mode operation and featured a 6 line by 20 character alpha-numeric LCD display. Also launched in March 1999 at the same time as the SRP01, the larger Simoco SRP1000 was a fully Tetra compatible 3 Watt RF output handportable intended for Emergency Services, Public Utilities, Transportation and professional business applications etc. It provided simplex or duplex speech, trunked or direct-mode operation and featured a 6 line by 20 character alpha-numeric LCD display. From 2002 the product was branded Sepura.